In global terms Indonesia has demonstrated remarkable resilience over the last decade and in many ways is developing into a regional power, not just because of its size but because of its increasing attractiveness as an investment hub. There are, of course, huge challenges ahead, but as the rapidly growing middle class testifies, entrepreneurship, improved accountability and openness continue to be the engine of change and a conduit by which people are given the chance to add both personal wealth and to the development of the nation. 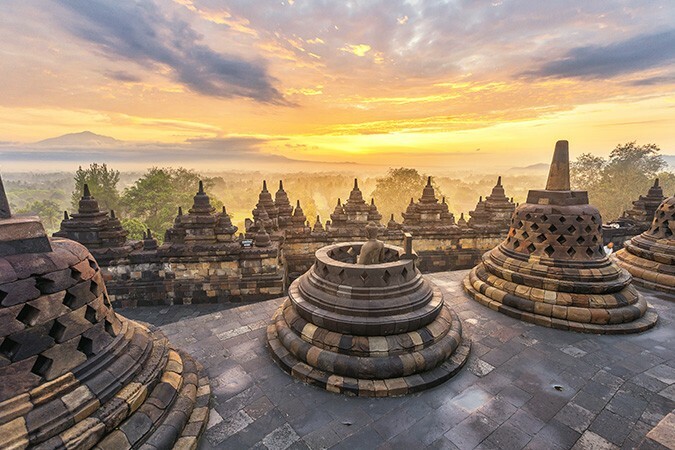 Due to its sheer geographical scale, Indonesia is a hugely diverse country with an incredible array of differing landscapes, people, cultures, cuisines and expectations. The historical influences, from the invaders and traders to the pre and post-colonial religious and cultural influences, have shaped and continue to shape the nation, both its urban and rural populations. For the older generation, the country must be unrecognisable, whilst at the same time for their younger peers, especially those in its major cities, it must be impossible to consider the difficulties most of their grandparents endured. Alongside the economic progress there has also been a movement towards defining what it means to be Indonesian, an impossible task some might argue, however a goal that has seen a resurgence in the traditional Indonesian arts, the evolution of Indonesian fine dining and a growing assertion of nationhood that embraces the country’s variety and history. Perhaps this is what Gottfried Wilhelm Leibniz meant in 1677 when he coined the phrase Unity in Diversity, adopted on independence by Indonesia as its motto. The phrase was a deliberate oxymoron on the part of Leibniz as he looked to advance multiculturalism in Europe, but for the Republic of Indonesia, it precisely captures both the strength and potential within and that is something to rejoice in. So, together, let’s Celebrate Indonesia. Located within the Special Region of Yogyakarta, the city of Yogyakarta is known as the centre of classical Javanese art and culture. It is famous for its batik, traditional dance and drama, music, poetry and shadow puppetry. At the centre is the Keraton, the sultan’s palace, a vast complex that is both the political and cultural epicentre of this remarkable little city. The traditional inner core buildings are dated between 1755 and 1756, with the European touches to the interior here added much later in the 1920s. It is one of the finest remaining examples of Javanese palace architecture, with a series of luxurious halls and vast courtyards and pavilions. 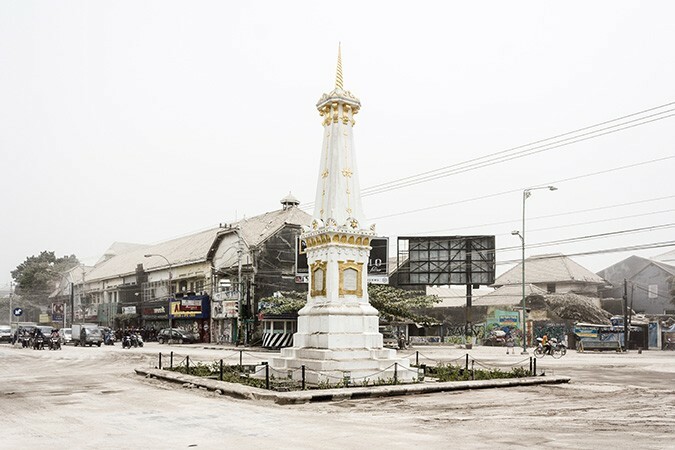 Substantial parts of the Keraton are open to the public and display an array of historical artefacts, including gilt copies of the sacred pusaka and a huge collection of gamelan instruments. One of the most interesting rooms displays the royal family tree, full of photographs, old and new, of royal weddings and portraits of the former sultans, whilst another display is dedicated to the current holder of the title, Sultan Hamengkubuwono X, with an array of photographs and personal effects. Despite its small size, it is one of Indonesia’s most renowned centres of higher education, particularly those with an emphasis on research, arts and religion, and includes renowned private and state universities, such as Gadjah Mada University, Universitas Kristen Duta Wacana and Universitas Negeri. There are a multitude of interesting and some unique places to visit within the city and throughout the Special Region of Yogyakarta. At the top of that list is surely a day out at Borobudur temple. Around 40km northwest of the Keraton, Borobudur is a vast a 9TH century Mahayana Buddhist temple and a true Indonesian icon. One of the greatest Buddhist monuments in the world, the temple consists of nine stacked platforms, six square and three circular, topped by a central dome. The temple is decorated with 2,672 relief panels and 504 Buddha statues. The dome is surrounded by 72 Buddha statues, each seated inside a perforated stupa. There are also stunning sunrise and sunset views. 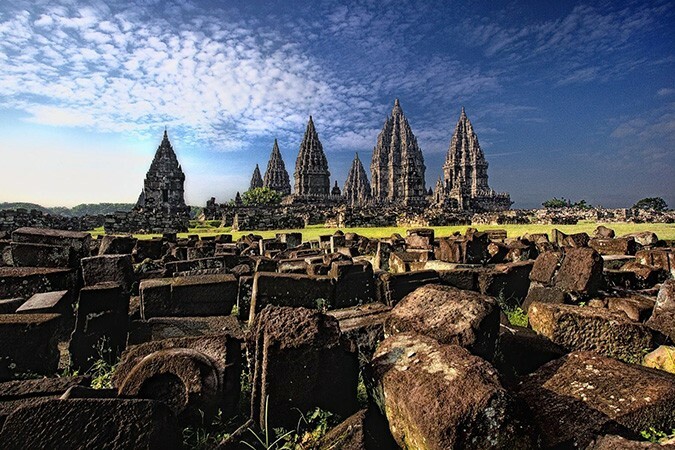 For art lovers, the choice is endless, but one of the most popular is the epic Ramayana ballet performed at Prambanan Temple, another fascinating temple that dates back to the 9TH century. Typically there are 10 to 12 performances per month and, between May and October, these take place at the temple’s marvellous outdoor theatre.